Work with us! You’d be joining a fantastic team, and a fun, local company while discovering a fulfilling career path. The senior living industry is all about heart, but GenCare takes it one step further—we believe that our care is only as good as our staff. Our mission says it all: Delivering a first class experience in a harmonious and Whole Life Living environment. That includes GenCare's employees. We believe employees can only care for our residents if they are cared for themselves. Be a part of a company who wants to change the industry using our all-encompassing method of care, Whole Life Living. We believe that the entire person deserves care and respect using The Four Facets of Whole Life Living: Culinary, Vitality, Stay Sharp Mental Fitness, and Purpose. If you believe this as well, we'd love for you to join our team! 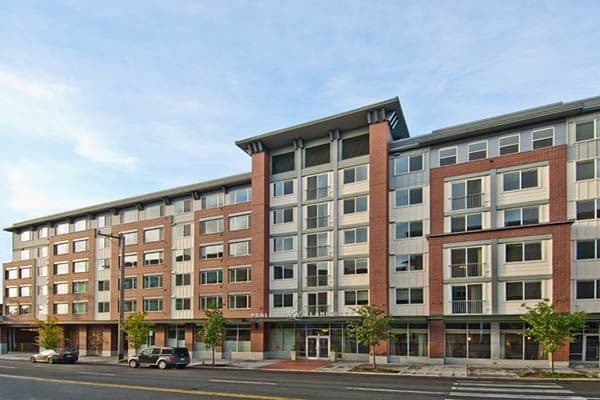 The Ballard Landmark/GenCare is at the forefront of whole food and gluten free cuisine in the Senior Housing arena. If you think you know "retirement home" cooking, think again. GenCare Lifestyle at The Ballard Landmark Inn is a Premier Senior Independent and Assisted Living Lifestyle community located in the heart of beautiful downtown Ballard. We are currently seeking qualified Full and Part Time Line/Breakfast/Prep Cooks to join our Culinary Team. We set the bar high because our cultured and discerning residents expect it! Our forward thinking mission statement considers the dietary needs and expectations of a senior population that understands food and it's relationship to vitality and health! The main difference between cooking with us and cooking in a restaurant is you can still have a work/life balance! You are home by 7:30 each night. You have three days off per week and will get at least two days off in a row. Full time positions are 4/10 shift positions! As a FT GenCare employee, you are going to have very competitive wages, benefits, paid vacation, paid sick time, reimbursed orca card, free meals, Cell phone discounts, New 401K plan and more. Part time positions include paid sick time, reimbursed ORCA card, free meal when in duty, Cell Phone Discounts, 401K Plan to anyone working 19 hours per week or more. You are going to get to know your "guests" and this daily interaction informs all you do in the kitchen and provides meaningful inspiration for every dish you prepare and create. You will be trained in Gluten Free food preparation with the only fully GF accredited Senior Housing Community in the country. Cooks who have a passion for scratch cooking with fresh, local ingredients will feel right at home in our community. GenCare Lifestyle promotes a Whole Life Living program and Assisted Living/Health Services that focuses on the mind, body and soul. For more information about our company, please visit us at www.gencarelifestyle.com. This is an excellent opportunity for someone who wants to make a difference in our senior's quality of life; to help by joining a busy Seattle Senior Living Community. Qualified candidates must pass Background check prior to hiring. GenCare Lifestyle @ The Ballard Landmark Inn, a Premier Senior Living Community in beautiful downtown Ballard, is seeking to add an amazing, caring and compassionate Quality CNA caregiver to our team. We currently have a Full Time, NOC Shift position 10pm-6am open. As a FT GenCare employee, you are going to have very competitive wages, benefits, paid vacation, paid sick time, reimbursed orca card, free meals, Cell phone discounts, New 401K plan and more. Part time positions include paid sick time, reimbursed ORCA card, free meal when in duty, Cell Phone Discounts, 401K Plan to anyone working 19 hours per week or more. Opportunities for advancement. Prefer Caregivers have. . .
All applicants must be able to speak and write English clearly. If you have a teachable attitude, desire to care for seniors and would like to be part of our innovative Whole Life Living program, send your resume to this email today. Applicants need to be willing to work some weekends and successfully pass a Background Check upon hire. If you want to help Seniors live a full and successful lifestyle this is the job for you. Please email resume with cover letter. Priority given to applicants with CNA Certification. Wages: $15.00 per hour to start. GenCare Lifestyle at The Ballard Landmark is a Premier Senior Living Community located in the heart of beautiful downtown Ballard. We have Independent as well as Assisted Living residents. We offer a fun working environment, set schedules, competitive wages, benefits and opportunities for advancement. We are currently seeking Part-Time Dishwashers, working some weekends is a requirement. Schedules rotate and could be any given day also hours between range between7:30am and 9pm. These are part time positions working 24 hours per week. If you are dependable, talented and hardworking, we want to encourage you to join our team. Part time positions include paid sick time, reimbursed ORCA card, free meal when in duty, Cell Phone Discounts, 401K Plan to anyone working 19 hours per week or more. The Ballard Landmark provides a warm atmosphere, luxurious apartments and all the amenities. The Ballard Landmark staff prides itself on service excellence. Our mission is to provide a first-class dining experience in a harmonious whole life living environment. Experience in working with and caring for seniors is preferred, but if you are enthusiastic and kind, and have both a genuine appreciation for seniors and skills that you want to apply to a very rewarding career, we invite you to apply for this position. All offers of employment are contingent upon Candidate passing a background check, reference check and meeting minimum requirements and providing all required employment documentation. $15.00 an hour to start. The Ballard Landmark is a Premier GenCare community, located in the heart of downtown Ballard. We offer a fun working environment, set schedules, competitive wages, benefits and opportunities for advancement. We are currently hiring for both full and part-time servers. $15.00 an hour to start. If you are dependable, talented, hardworking and enthusiastic; and have both a genuine appreciation for seniors, and skills that you want to apply to a very rewarding career, we want to encourage you to join our team. Experience in working with and serving seniors is preferred. The Ballard Landmark staff prides themselves, on service excellence. Our mission is to provide a first-class resident experience in a harmonious whole life living environment. The Ballard Landmark a premier Senior Independent and Assisted Living Community, located in beautiful downtown Ballard is taking applications for a Part Time Activities Bus Driver. The position requires driving our 12-passenger bus. This is a 24 hour per week position with possibility for full time in the future with benefits. CDL License is preferred but not required. The successful candidate must be a compassionate and caring individual willing to work Part-time in our Activities-Transportation department. This is a 24 hour per week position some weekends required days may vary due to events and outings at the Community. You will need patience, kindness, flexibility and sense of humor as you transport our elderly residents to and from their appointments. Part time positions include paid sick time, reimbursed ORCA card, free meal when in duty, Cell Phone Discounts, 401K Plan to anyone working 19 hours per week or more. Must be reliable and have good grooming habits. We are a non-smoking community. If you are dependable, patient, hardworking and have a passion for helping seniors, we want to encourage you to join our team. Interested applicants please respond by emailing your resume with experience. Must be able plan routes for Dr. appointment trips and errands, be flexible and think on your feet and have patience. Candidate must be familiar with and have knowledge of the Ballard area. GenCare Lifestyle The Village at Granite Falls a Premier Senior Living Community seeks an enthusiastic, friendly, positive attitude part-time Concierge with a professional image. The ideal candidate must have receptionist and customer service skills and experience. Must know how to communicate effectively and enjoy elderly population. -Welcoming visitors by greeting them in person or on phone. Screen incoming calls and route to appropriate personnel. Experience handling multi-line phone system. -Provide direct administrative support, must be computer proficient. Errands and other projects may be assigned on an as needed basis. -Must have the ability to manage multiple tasks, prioritize workflow, complete projects, and tend to resident request. Must have a calm demeanor in a sometimes, demanding environment. Must have patience and appreciate the nature of this business. -Strong written and verbal communication skills (attention to detail highly important). Professional, articulate manner a must. -Willing to accept direction and work in a team environment or with little supervision. -Maintain lobby and first impression cleanliness and keep reception and front rooms in order. Successful candidate must pass background check prior to hire. We are a non-smoking office/company. If you enjoy seniors and want to help make a difference in their lives please apply today. Please email your resume today. 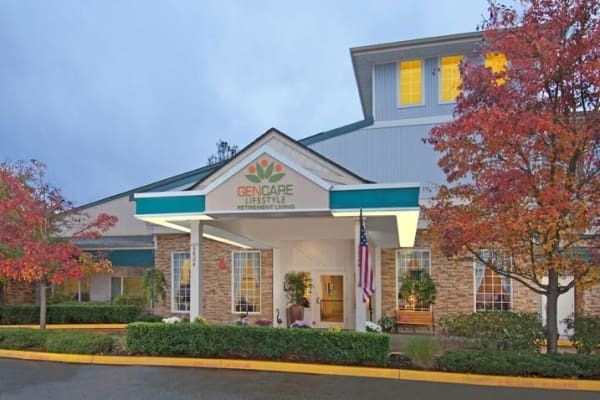 GenCare Lifestyle, a Premier Senior Independent and Assisted Living Community, located in Lynnwood; has immediate openings for servers, position range Part Time 38 - 24 hrs. per week to vary; with opportunities for advancement. Working some weekends is a requirement with these positions. To full time employees we offer a competitive medical that is 90% employer paid premiums, dental, vision, life insurance, Paid vacation, sick, holidays and many other great benefits! Part time and full-time employees are eligible for Employer Assistance programs and Perks discount programs all available after probationary period. If you are dependable, talented, hardworking, and enjoy working with seniors, we want to encourage you to join our team. Scriber Gardens staff prides itself on service excellence. Our mission is to provide a first-class experience, in a harmonious and whole life living environment. Successful candidates must be able to pass background check if hired. GenCare - Scriber Gardens in Lynnwood, a Premier Senior Living Community in lovely Lynnwood, WA, is seeking to add an amazing, caring and compassionate Quality CNA caregiver to our team. We currently have a Full Time, and Part Time positions open. Full time positions over 30 hours per week, include benefits. We offer competitive Medical - 90% employer paid premiums, Dental, Vision, Life Insurance, Orca Bus Pass Reimbursement, Cell Phone Discounts, Vacation, Sick, Holiday and many more! Opportunities for advancement. We prefer Caregivers have. . . The Lodge at Eagle Ridge/GenCare is at the forefront of whole food and gluten free cuisine in the Senior Housing arena. If you think you know "retirement home" cooking, think again. GenCare Lifestyle at The Lodge at Eagle Ridge is a Premier Senior Independent and Assisted Living Lifestyle community located in Renton. We are currently seeking qualified Full Time Line/Prep Cook to join our Culinary Team. We set the bar high because our residents expect it! Our forward-thinking mission statement considers the dietary needs and expectations of a senior population that understands food and its relationship to vitality and health! The main difference between cooking with us and cooking in a restaurant is you can still have a work/life balance! You are home by 8:00 pm each night. As a FT GenCare employee, you are going to have very competitive wages, Medical Dental Vision and Life benefits, paid vacation, paid sick time, free meals, and more. This is an excellent opportunity for someone who wants to make a difference in our senior's quality of life; to help by joining a busy Renton Senior Living Community. Qualified candidates must pass Background check prior to hiring. 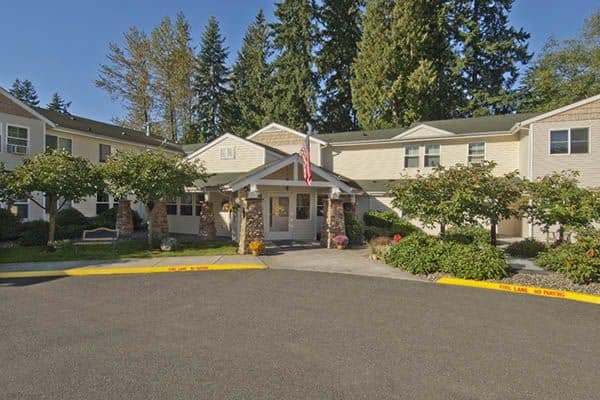 GenCare Lifestyle at The Lodge at Eagle Ridge, a Premier Senior Independent and Assisted Living Community, located overlooking beautiful downtown Renton; has immediate opening for both full and part time servers. Working some weekends is a requirement with these positions. Full Time benefits include paid sick, vacation and holidays. Also, a competitive medical 90% employer paid premium, dental, vision and life insurance, Employer Assistance programs and Perks discount programs all available after probationary period. The Lodge at Eagle Ridge provides a warm atmosphere, luxurious apartments and all the amenities. The Lodge staff prides itself on service excellence. We set the bar high because our residents expect it! Our forward-thinking mission statement considers the dietary needs and expectations of a senior population that understands food and its relationship to vitality and health! Successful candidates must be able to pass background check if hired. Experience in working with and caring for seniors is preferred; but if you are enthusiastic and kind, and have both a genuine appreciation for seniors and skills that you want to apply to a very rewarding career, we invite you to apply for this position. Please respond with your resume to this post. GenCare Lifestyle @ The Lodge at Eagle Ridge, a Premier Senior Living Community overlooking beautiful downtown Renton, is seeking to add amazing, caring and compassionate Quality CNA caregivers to our team. We currently have both Full and Part Time positions, all shifts available. We offer competitive Wages based on experience. Full time positions over 30 hours per week, include benefits. We offer competitive Medical - 90% employer paid premiums, Dental and Vision, Employee Assistance Program, Cell Phone Discounts, Paid Birthday Holiday and many more. Priority given to applicants with CNA Certification. Wages dependent on experience. 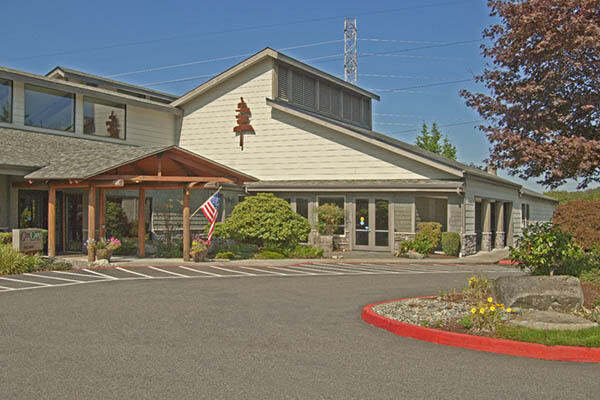 GenCare Lifestyle, The Lodge at Eagle Ridge a premier Senior Living Retirement Community located in Renton is currently seeking full time Housekeepers who are self starters, enthusiastic, dedicated, organized and looking for long-term employment. Position includes medical, dental, vision and life insurance benefits, free meal, employee assistance program and vacation, sick and paid holidays after 90 days. Must have good communication skills, be able to speak, read and write English well and be able to accomplish daily cleaning tasks as assigned. Duties include cleaning resident apartments and common areas throughout our community. If hired applicant must be able to pass a criminal background check. Do you love helping seniors? Are you customer service focused? Do you have a sense of humor? Can you multitask with ease? Are you experienced? Then this may be the perfect opportunity for you. Experience in working with and caring for seniors is preferred, but if you are hard working, passionate, enthusiastic and kind, and have both a genuine appreciation for seniors and a desire to work with seniors, we invite you to apply for this position. Competitive starting wage is dependent on experience. If interested please apply by responding to this ad with your resume and contact information.